In a small bowl, mix the salt, cilantro, oregano, garlic, and olive oil. Rub the mix all over the chicken and let it marinate for 10 minutes. In the meantime, peel and chop the yucca and the onion. Set aside. Heat a large pot over medium heat. Place the chicken in the pot, place a lid on it, and let it sweat for about 7 minutes. Add the onion and the chicken stock. Bring the soup to a boil and then let it simmer over medium low heat until the chicken is cooked through and soft. Raise the heat to medium and add the yucca. 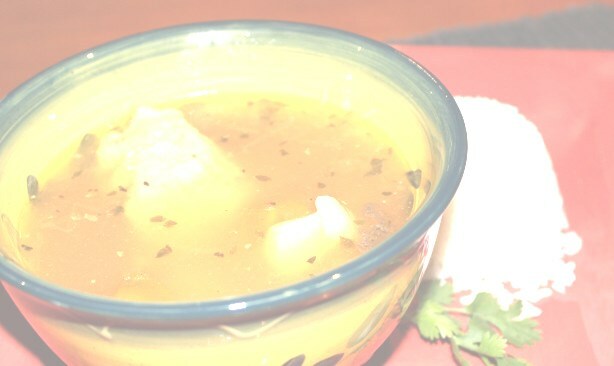 Bring the pot to a gentle simmer and cook until the yucca is cooked through (approximately 10 minutes). 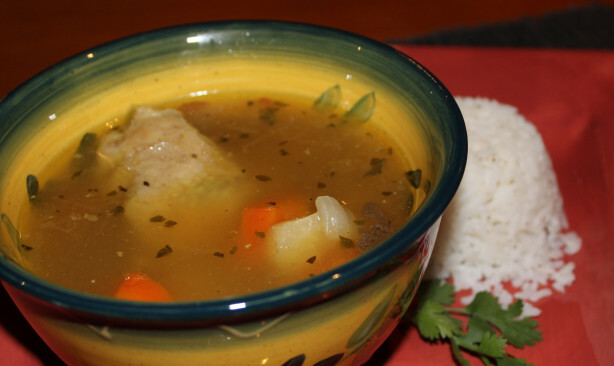 Serve with white rice on the side that is added into the soup when you are about to eat it. NOTE: This soup keeps well frozen and only gets more flavourful with time.